First, we started out by putting room temperature water into a beaker. We then connected it to a temperature probe to collect the data. Usually when ice is added to the water, the temperature would first drop, but then it would flatline. Then, the temperature would drop once more and the water would begin to freeze. The same thing happened when you heat the water up. The temperature would first rise, then flatline. Shortly after, the temperature would rise once more and begin boiling. 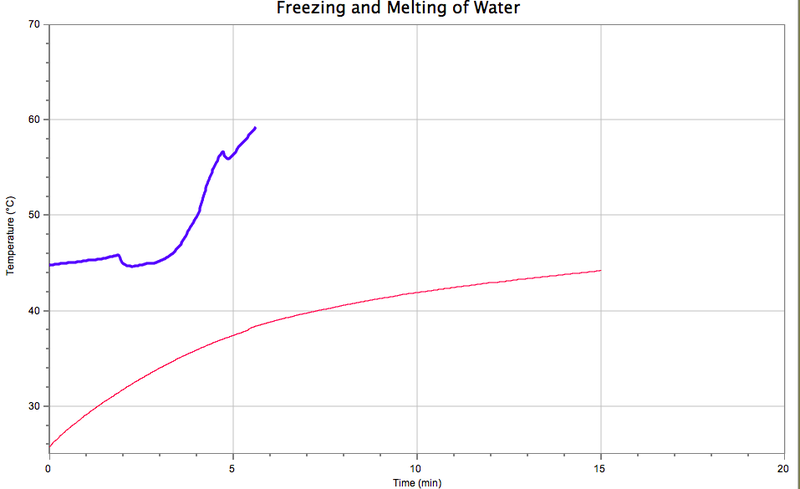 Above, you can see that the ice’s temperature rose and eventually leveled off as the hot water made its effect on it. 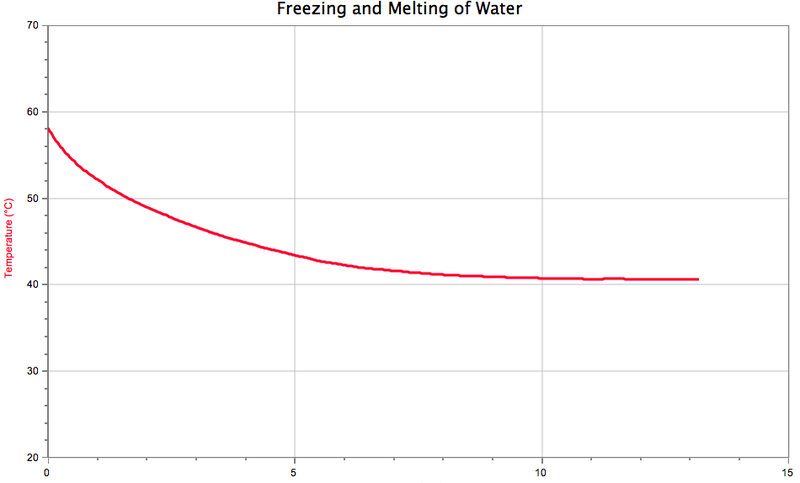 This graph shows that the temperature of the water dropped gradually. Then, the temperature flatlined at the point in which the ice met its freezing point.